Whether you're struggling in your prayer life, an experienced prayer warrior, or unsure what a prayer life means, this series will encourage and inspire you. We know we’re supposed to pray … but why? Do our prayers really make a difference? And is there a “right” way to pray? Although prayer feels abstract and complex, it’s actually quite simple—we have direct access to God! 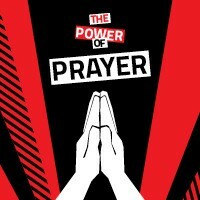 In this series, we engage in a prayer revolution as we journey to discover the how and why of prayer. Whether you're struggling in your prayer life, an experienced prayer warrior, or unsure what a prayer life means, this series will encourage and inspire you.